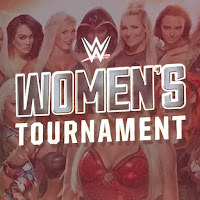 During today’s NXT Takeover Chicago conference call, Triple H talked a bit about the upcoming WWE Women’s tournament and the possible format for the show. Triple said more information will be coming out over the next few weeks, but called it a “passion project” he’s been working on for a while. In regards to the talent selections, he said they want it to be a global event, but isn’t sure how high end they could make it. He noted it’s just because there are less women’s wrestlers out there, but there are some hidden gems with a lot of talent around the world. Triple H said the key is to find the right balance of talent, and a lot of women who should be in it (domestically / US based?) won’t be because they really want to make it an international event and have to find balance. He related it to the Cruiserweight Classic where it will be a good mix of international talents both veterans and younger wrestlers. Finally, he said the key is to find the right mix of talent for the best matches, and likened it to putting a puzzle together. He said there are former talents being consider for appearances, even if it’s sitting at ringside in support.